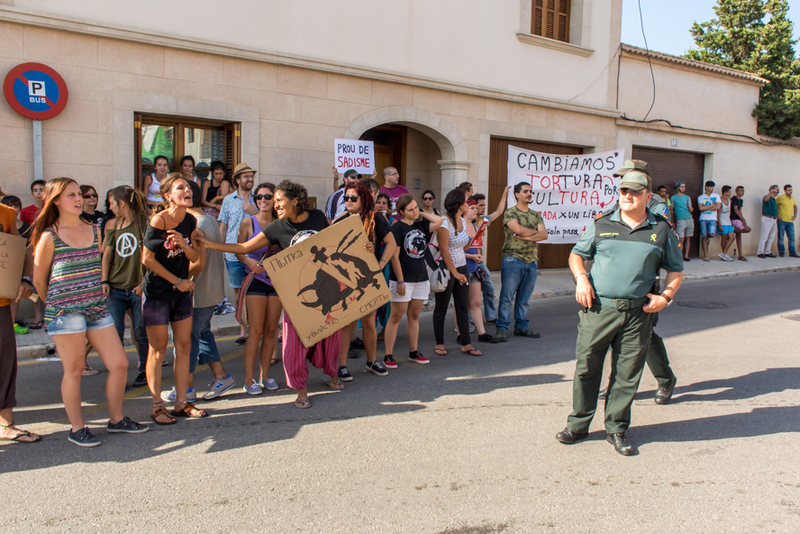 Last Sunday saw the first of this year’s few bullfights in Mallorca, this time in Muro. Three toreros fought six bulls in a confrontation where there could only be losers. The bulls lost their lives, surprise surprise. Outside, a small crowd of angry young people staged a noisy anti-tauromachian protest. I guess there won’t be any bullfights in Mallorca, a few years from now. Time is up. The photo was taken in Muro, Mallorca, Baleares, Spain. The date: June 22nd, 2014.